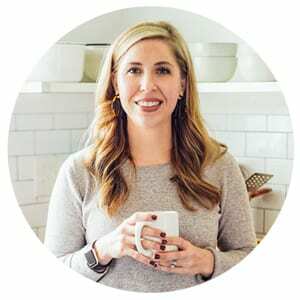 Once a month, I step away from my kitchen to share a few of my favorite things. April was a busy month for our family. 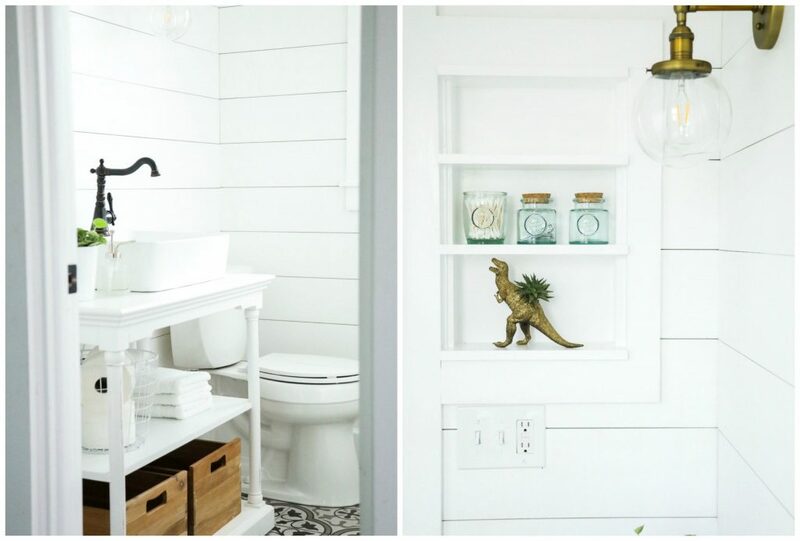 We finished up a few home improvement projects, which included remodeling a half bathroom and fixing up our back porch. The big project was the bathroom remodel, which is almost complete. We’re just waiting on the mirror to arrive. The second project, the back porch, involved laying a slate floor in a herringbone pattern, replacing the screens, and painting the ugly aluminum. I absolutely love how the space turned out. We spend most of our evenings on the porch now. I also spend many of my writing days on the porch. The next project on our list involves clearing out the weeds in the garden and arranging stones around the kids’ playground area (which is currently a dirt patch). Okay, now let’s talk about favorite things. One year ago, I visited Pure Barre for the first time. 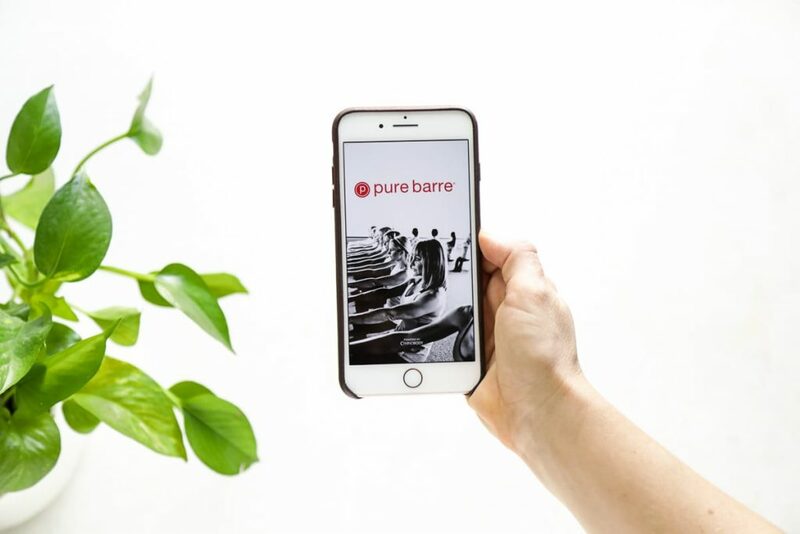 I fell in love with the Pure Barre way of exercising after my first class. A year later, I’m still addicted to Pure Barre workouts. I attend class four times a week, in the early morning, while my family is sleeping. A few reader friends recently asked if I could recommend a natural deodorant option without baking soda–a common ingredient in natural deodorants. 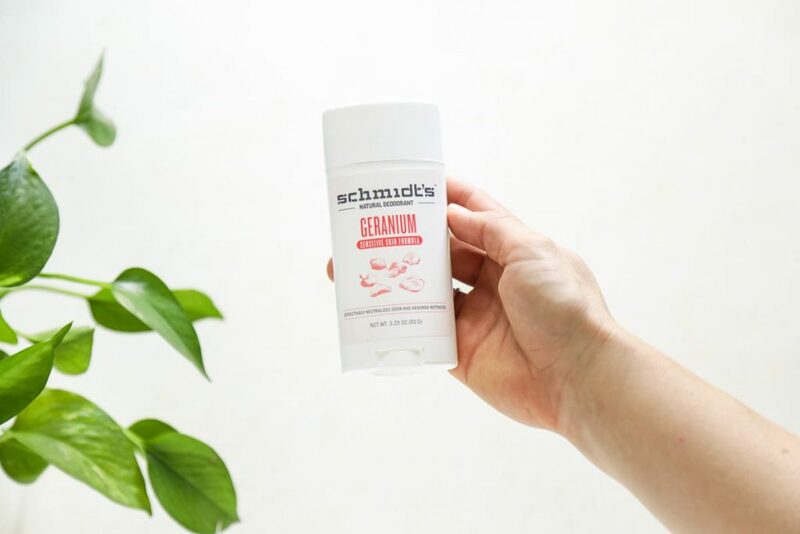 After some research, I discovered Schmidt’s Geranium Deodorant (the only Schmidt’s option without baking soda) and decided to test it out. I’m currently using Schmidt’s as my personal deodorant–it’s that awesome. I’m honestly not sure if I’ll return to Primal Pit Paste or remain with Schmidt’s (for a store-bought option). Last month, a reader friend on Instagram asked me about adding white willow bark to a mask recipe. I didn’t know much about white willow bark at the time, so I told her I’d check it out and report back. 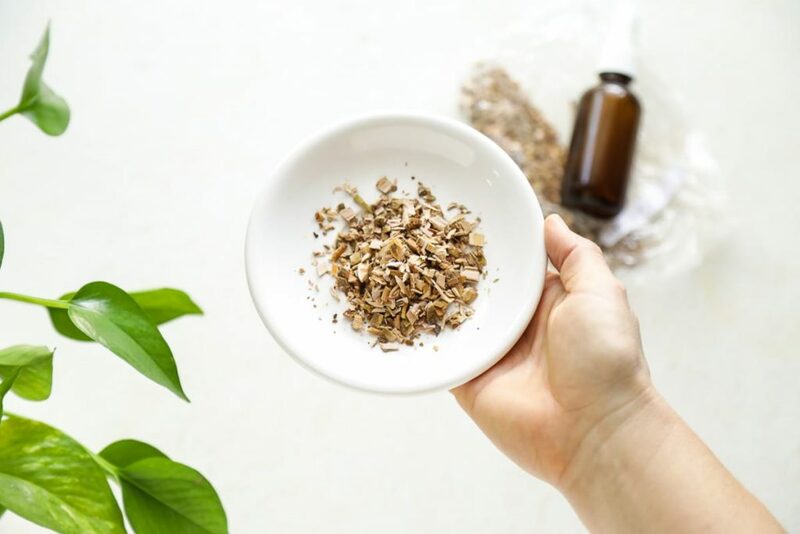 Since reading more about this herb, I’ve played around with using the bark (which I found in the Frontier Bulk Bins at a local health food store) to create a toner recipe designed for acne-prone skin. Why? 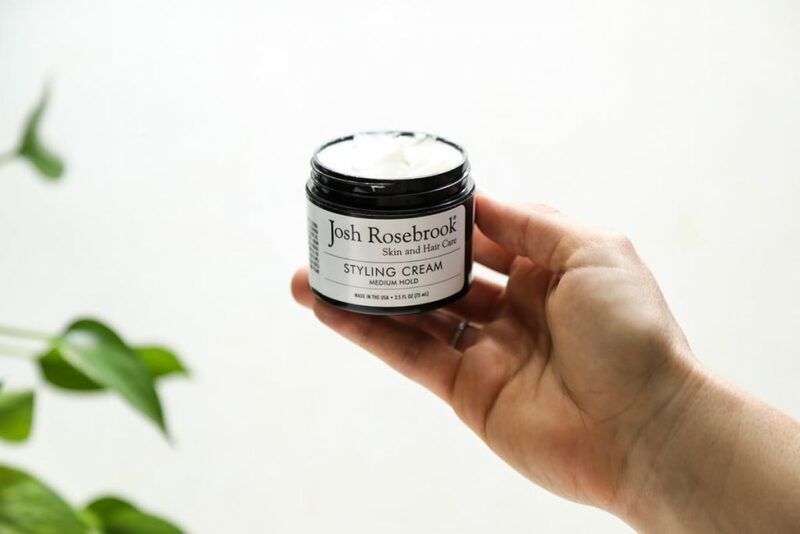 Because white willow bark naturally contains salicin, which is a powerful anti-inflammatory and present (sometimes in a synthetic form) in some acne products. It’s also known for its pain-relieving abilities. Ever wonder about the origins of aspirin? Hello, white willow bark! I’ve been using the toner for a full month. I’m really enjoying it (obviously, it made my love post ;)), and plan to share the recipe on the blog next week. Treating my face to a weekly scrub/exfoliant has become one of my favorite evening rituals. The scrub sloughs away dead skin, and leaves my skin feeling soft and vibrant. One of my current goals is to be more intentional about caring for my body. For me, this looks like eating real food, getting enough sleep at night, taking time on the weekend to rest, caring for my skin (not sleeping in makeup, using clean makeup products), and exercising and stretching. With this goal in mind, a friend recently recommended dry brushing to me. 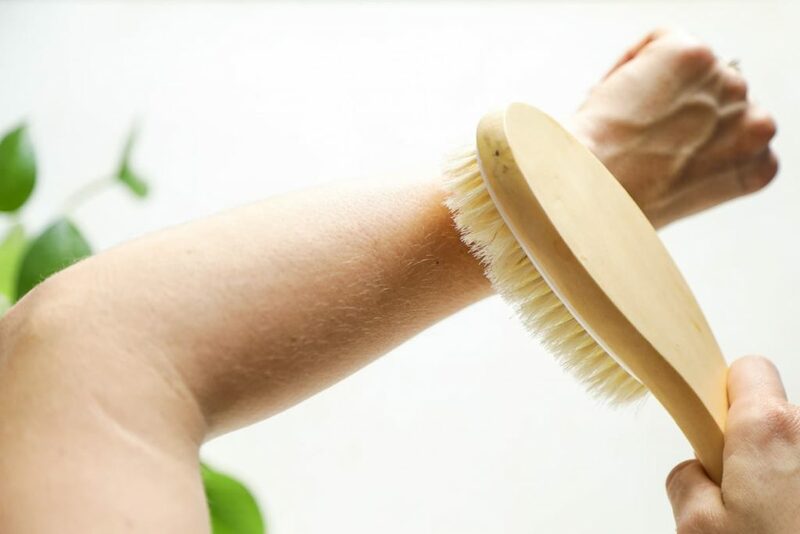 Dry brushing is thought to support the lymphatic system (a huge part of the immune system) and naturally detox the body. Dry brushing has been around for a very long time and practiced by many cultures. At first, brushing my skin felt a bit strange, but now, I actually look forward to the practice. A few times a week, after a morning shower, I brush my skin (yep, my whole body) with a body brush. I start by brushing the top of my feet and legs, then work upward towards my stomach, and then focus on my arms. The entire process only takes a couple of minutes. There are seasons when the body needs a bit of extra support. For me, this currently looks like adding a couple of herbal supplements to my diet. I’ve been taking ashwagandha, an adaptogenic herb used in Ayurvedic healing, for about six months now to help balance my hormones. I take one pill a day. 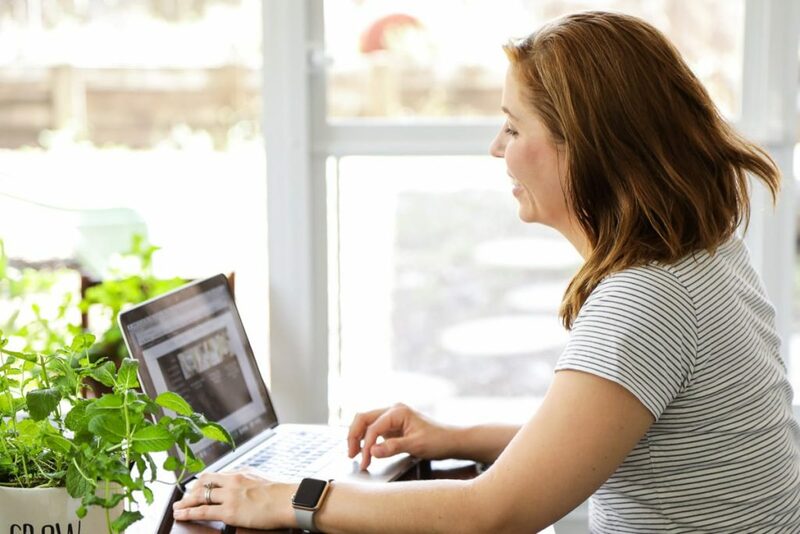 I truly believe this herb has helped me balance my hormones–along with getting enough sleep, consuming healthy fats, exercise (Pure Barre), and improving my gut health (with probiotic, cultured, and fermented foods, along with bone broth). 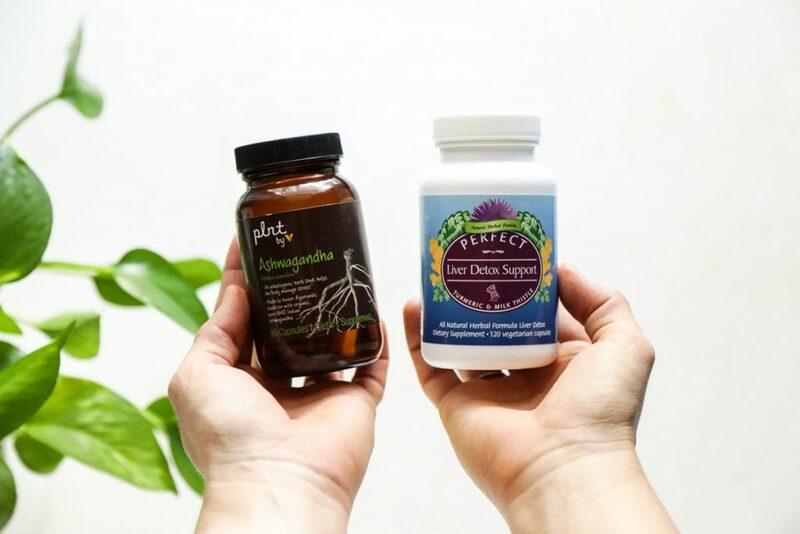 Last month, I added another supplement to my daily routine: Perfect Supplements Liver Detox Support. The capsules are a combo of milk thistle and turmeric, which help to support and cleanse the liver. I take two pills every evening. In April, I spent two days in front of our (new) bathroom toilet. Not fun! One time was due to the norovirus. Another time was due to food poisoning (from a local coffee shop’s quiche). Both times, I reached for activated charcoal, dissolved a capsule in water, and then slowly sipped on the mixture. The charcoal didn’t help with the norovirus, but it did take care of my food poisoning incident. 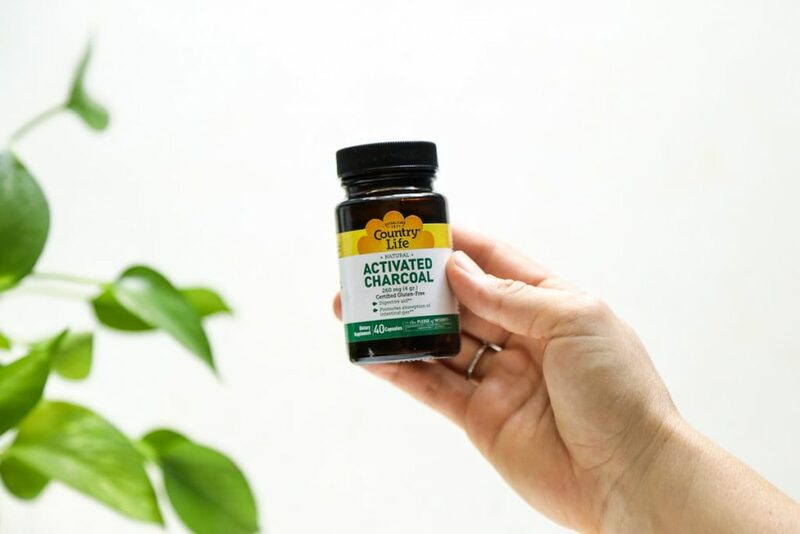 Activated charcoal is thought to adsorb the bacteria that causes food sickness/poisoning. I keep a bottle of activated charcoal in our linen closet (and in my purse when we travel) just for these situations. Thankfully, I don’t have to use the capsules very often. I found these avocados at Trader Joe’s last month. 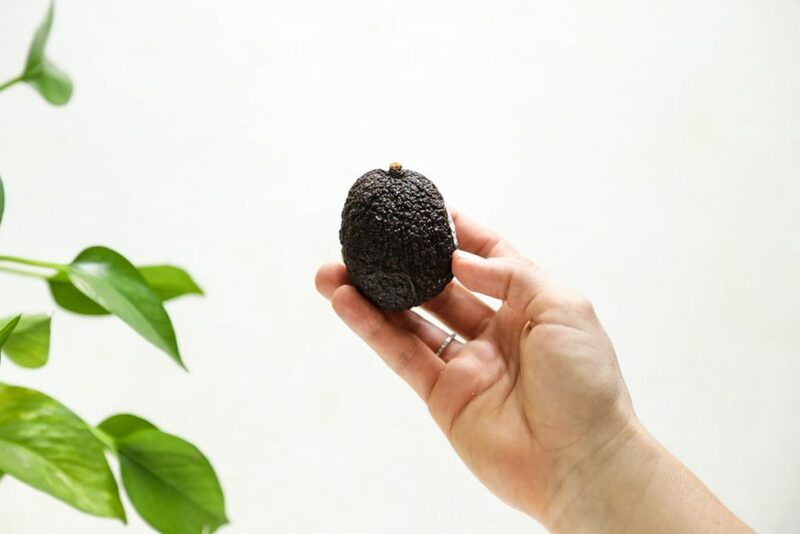 They are the perfect size for a single-serving avocado snack, avocado toast, or smoothie. My storage containers come from Amazon (Weck Jars), Crate and Barrel, HomeGoods, or the Target Value Section (it’s not fair to call it the dollar section anymore, since it also includes $3 and $5 finds). 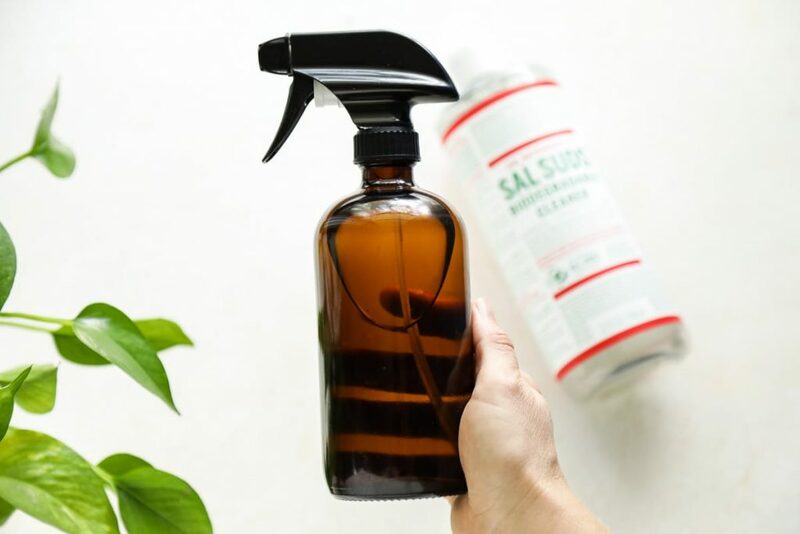 My glass spray bottles come from Sally’s Organics on Amazon. There’s not a week that goes by that I don’t reach for my amber glass spray bottle filled with all-purpose cleaner. That bottle and cleaner deserve all the heart emojis. 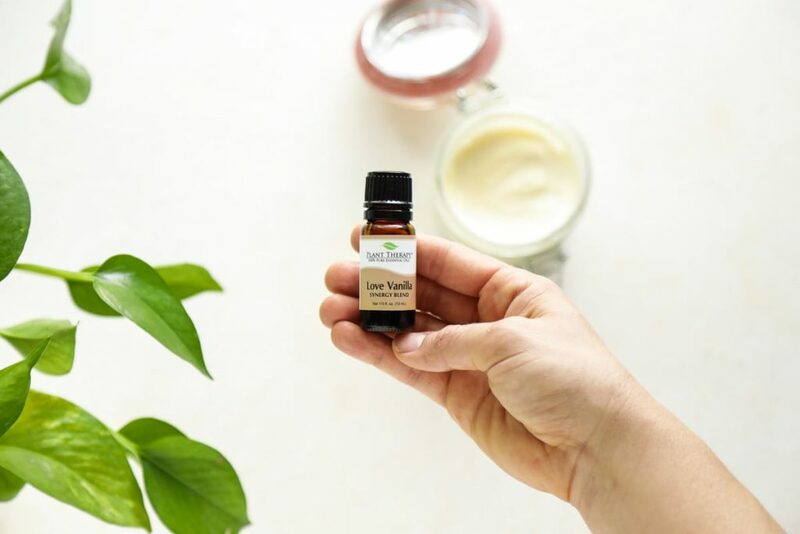 Plant Therapy sent me an essential oil blend called Love Vanilla (a blend of Vanilla Oleoresin and Ylang Ylang) a few months ago, and I’m now obsessed with the scent. I’ve used the oil blend in homemade body butter and diffused it in my diffuser. I’d love to hear what you’re loving right now. Anything qualifies! Wow, JLM, I’ve never heard of that line. Thank you for sharing. I’m going to check it out. Hi! I love this post. Thanks. 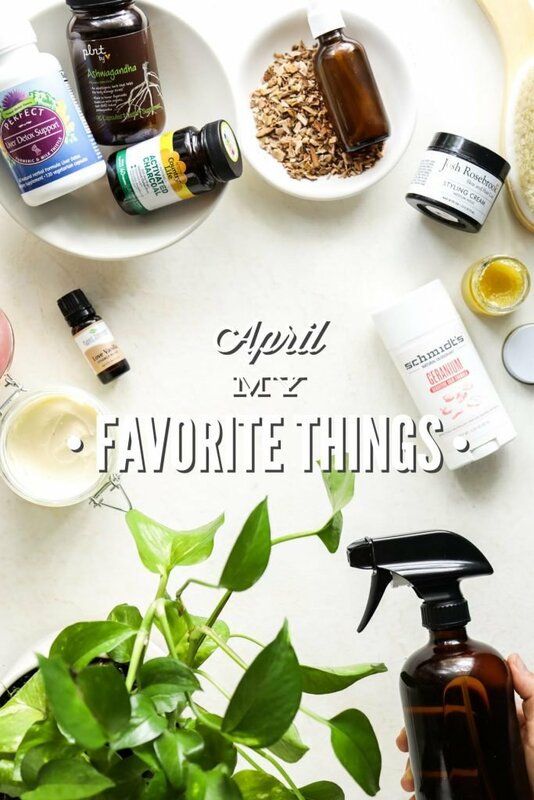 I definitely want to check out the Barre workouts and the geranium deodorant. I have a questions about the glass amber bottles. Do you find it is better to purchase amber bottles for our DIY products? If so, why is that? Hey Catherine, Thank you so much. 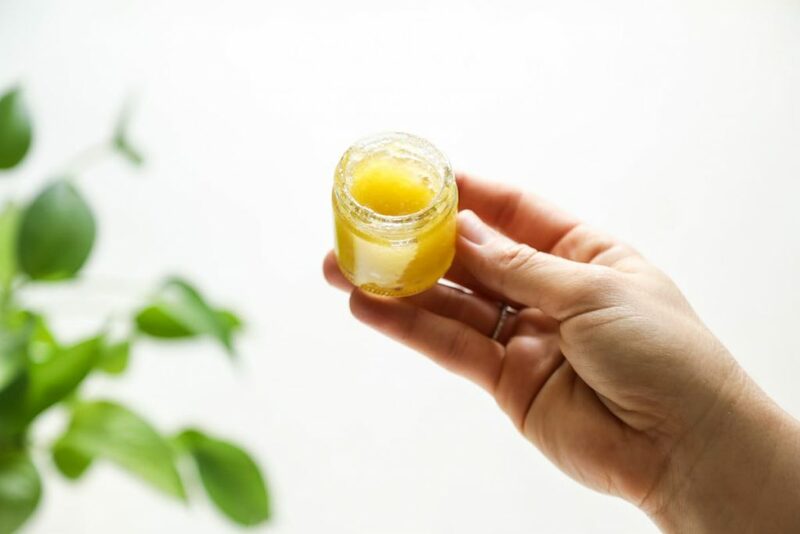 The amber bottles are recommended for anything containing essential oils, since light can break down sensitive ingredients. Have you come across any other all natural supplements that you like? I currently take an off multivitamin and I’m sure it has all sorts of bad stuff in it.